1. Does one certain bird always be the leader of a group, or do they rotate? - They take turns, just like humans breaking a trail in snow. 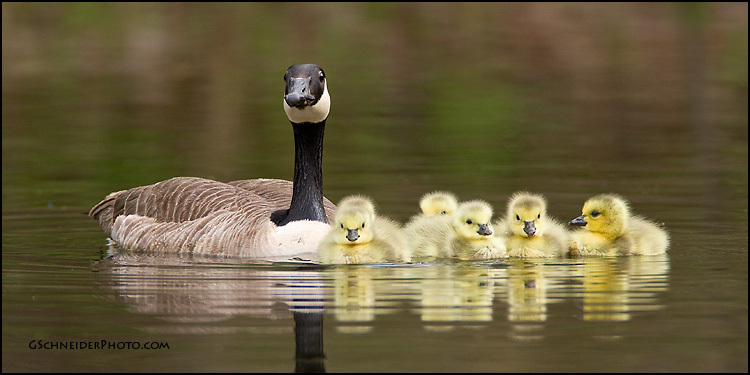 When one tires, he or she moves back in the group and another takes the lead. 2. Do they eat a lot before they fly? - I could not find information on this, but my guess is yes. They stop at rest spots along the way to sleep, drink, and eat. 3. How large is the largest "V," does anyone know? - I could not find any data on this. 4. What is the longest flight ever seen, how many birds? 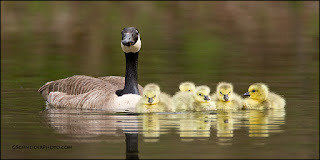 Canada Geese have been known to fly several thousand miles. The Arctic Tern has the longest migration in the world, from Arctic to Antarctic, about 25,000 miles round trip. 5. I wonder if their honking and their talking is at the start only, or all the way? It must take a lot of energy to do both. I suppose I'll never know. - Apparently they communicate throughout the trip. There is the "V" for Victory sign and "V" made with hands for "all is well." A "V" in the wake of a boat, is a popular signal. When did all this start? The dictionary says V is the Roman numeral for 5; we all know this. But geese flying in formation will always cause us to wonder, especially if you see them at sunset or against a full bright moon, and to hear their honking. Enough for today. Do you think I'm crazy? Always questions. I'm sorry my mother never had the opportunity to get more education. Her natural curiosity would have been such a huge asset.